It doesn’t seem like the cuts have stopped for the San Diego Fleet. Kicker Cole Murphy was placed on waivers on Wednesday and replaced by Donny Hageman. Cole Murphy is originally from Syracuse and was the kicker for all of camp. During his time at Syracuse, he struggled with consistency. He averaged 71.1% on field goals and struggled from distance. He also missed two field goals during San Diego’s preseason. One was from 41 yards away and the other was from 46 yards. 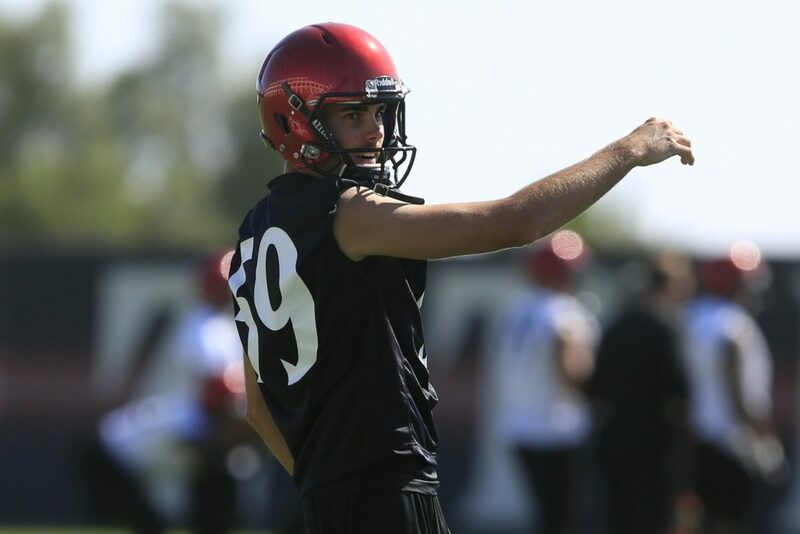 The Fleet signed kicker Donny Hageman soon after waiving Cole Murphy, bringing in another former San Diego State Aztec to the roster. After a good year in 2014, he was named to the preseason All-MWC First Team and on the Lou Groza Award (Best Place Kicker in the Nation) watchlist. He kicked field goals for the Aztecs for two years, making 78.7% (37-47) of those kicks. Hageman was fairly accurate from all distances, made all of his extra points, and had a long of 54 yards. His leg is powerful and he has really good accuracy from 40+ yards away, missing only four of his 15 kicks from that distance. Murphy really struggled with anything further than 40 yards during college and during his time with the Fleet. Murphy also struggled with consistency, something Hageman did not. Hageman only had one game in which he missed more than one kick, whereas Murphy did it four times in his last two seasons. The Fleet made a move at kicker that most likely will help them out in the long run. Murphy showed an ability to get hot over stretches of time, but consistency is what you need from your kicker, and Hageman has that. Murphy’s poor accuracy over distance is something that also gave people concern. The Fleet looked to fix that with the signing of Hageman. Cutting Murphy after two misses in the preseason game definitely is quick, and it could be interesting to see how the Fleet handle the kicking situation throughout the season.